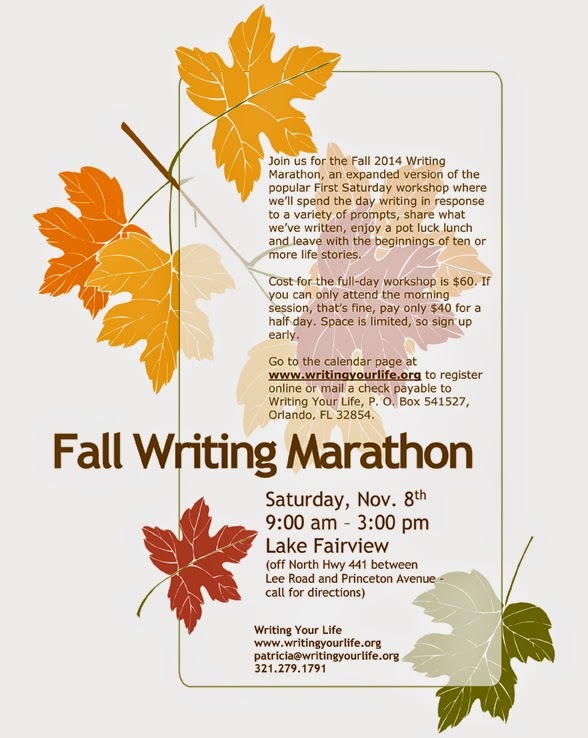 Join us for the Fall 2014 Writing Marathon, an expanded version of the popular First Saturday workshop. We’ll spend the day writing in response to a variety of prompts, share what we’ve written, meet new friends, enjoy a pot luck lunch, have a great time, and leave with the beginnings of ten or more life stories. The workshop is held in the Princeton Avenue area. Address and directions provided upon registration. Cost for the full-day workshop is $60. If you can only attend the morning session, that’s fine, pay only $40 for a half day, but please join us for lunch. Space is limited, so sign up early. Register online now! or mail a check payable to Writing Your Life to P.O. Box 541527, Orlando, FL 32854. Shira Flam is an unusual talent who has been delighting audiences nationwide with her remarkable soprano voice and repertoire of songs. Shira's career as an accomplished singer, actress, writer, cantor and voice teacher has led her all over the country. 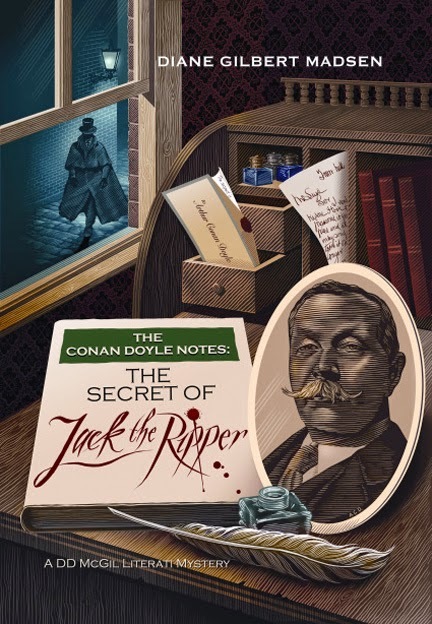 “The Conan Doyle Notes: The Secret of Jack the Ripper” was awarded Honorable Mention in the Chicago Writers Association 2014 Book Award finalists. 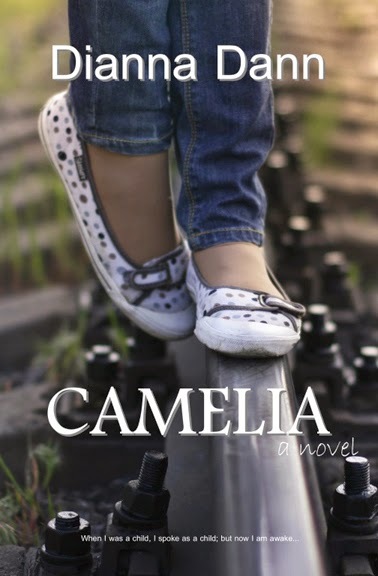 Wayward Cat Publishing is pleased to announce that Camelia by Dianna Dann took first place in the Royal Palm Literary Awards for women's fiction, while Children of Path by Dana Trantham took second in the fantasy category. Dianna Dann Narciso, author of both books, will be at the Authors for Authors Fall Book Fair, November 22-23 at the Eau Gallie Civic Center, Melbourne, signing copies of her award winners as well as her other books. nto what she wants and needs from the man she loves. TALLAHASSEE, FLORIDA – DG Publishing announces the upcoming release of Discovering Your True Worth: Awakening New Possibilities by Rev. Dr. Gordon Van Namee. An extraordinary guide that presents a Christ-centered approach to finding true worth, Discovering Your True Worth will be available where fine books are sold on November 18, 2014. In Discovering Your True Worth, Van Namee, a longtime pastor and author of Seeing Through the Eyes of Heaven, maintains that self-worth—which Van Namee defines as one’s personal sense of worth based mostly on what others think—is both a false and harmful concept that can lead to a lack of fulfillment, frustration, and even destruction. To present a means of discovering real worth, Van Namee created Discovering True Worth, an enlightening guide that takes readers on a journey towards finding true worth, an enhanced personal identity, growth, and healing. Grounded in Biblical wisdom and centered on Christ, Discovering Your True Worth explains how to shift one’s mindset to replace self-worth with God-worth, or true worth. Through powerful personal testimony, anecdotes, examples, and Scripture, Van Namee shows how true worth, a worth based on God’s infinite love for us through Jesus Christ, can help us find joy, security and certainty in an uncertain world. In this eye-opening, engaging, and thought-provoking new book, Rev. Dr. Gordon Van Namee leads readers on a path of personal renewal, reconstruction, and discovery based on the Principle of True Worth. Discovering Your True Worth also includes exercises encouraging readers to actively participate throughout, including “Moments of Reflection,” “Intentional Action” and sections for journaling thoughts and ideas related to the book’s passages. An incredible book that presents a life-changing truth, Discovering Your Truth Worth is powerful, transformative, inspiring and uplifting. Resplendent with wisdom, sage counsel, and Scripture, Discovering Your True Worth is a road map for a journey like no other. Discover the wellspring of strength that comes from a life centered on Christ; find out who you really are; awaken to new possibilities; find true joy, fulfillment, and happiness; and recognize the power, depth, and comfort of God’s love. After decades in the business world, Gordon Van Namee, at the age of 50, answered the call to go into ministry. Rev. Dr. Van Namee received his Masters in Divinity from Emory and his Doctorate of Ministry from Gordon-Conwell Theological Seminary. Rev. Dr. Gordon Van Namee has been active in ministry having served as a pastor for the past 17 years. A native of New York, and longtime resident of Northern Florida and Southern Georgia, Rev. Dr. Gordon Van Namee lives in Lake Park, Georgia. Based in Tallahassee, Florida, DG Publishing is an independent press that focuses on Christian titles. Discovering Your True Worth will be published in trade paper (IBSN: 978-0-9852206-7-9, 180 pages, $19.95) and eBook editions on November 18. On Saturday, November 1st, Jaimie M. Engle will be presenting at the Children's Local Author Festival at the Orlando Public Library in downtown Orlando. The event will feature several children's book authors and allow participants the opportunity to talk with published authors and buy copies of their signed books. The event runs from 11am-1pm. Visit www.jaimiengle.com to learn more about the author and the event. With the landscape of publishing changing, newspapers are no longer the only source for book reviews. Online blogs have entered the stage. The trick is finding the right one and building lasting relationships from reviews all the way up to reader events. Why are blogs important and how do you pick the best fit for your brand or book? Why are reader events and virtual parties important and how do you plan one? Most importantly, how do you build relationships with the hosts of this powerful new digital world and the readers taking the ride with you? Ana Ivies from Wicked Book Events will be on hand to chat blogs, marketing, events, audience and to share tips for author success...straight from the source. 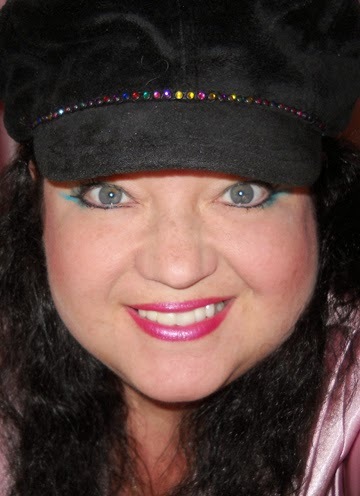 Ana Ivies began Ana’s Attic Book Blog in 2012. After discovering a large group of women who began reading again when a popular book series came out, she decided to help by posting about Books to Read after Fifty Shades of Grey. Since then, she has been reviewing and promoting all kinds of contemporary romance books on her blog, anasattic.com, and is currently planning her fourth Wicked Book Events book signing, which includes 50 NYT and USA Today Bestselling authors at the Bahia Mar Hotel, February 6-8, 2015. Tickets are still available at www.wickedbookevents.com. As many of you know, Jeremiah Healy took his own life on August 14, 2014, at the age of 66, following a long battle with depression. 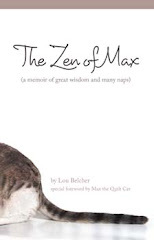 Our fellow mystery authors, Brendan DuBois, Andi Shechter, SJ Rozan and her sister Deborah have found a way of commemorating Jerry’s work and life that I think he would have absolutely loved. This all started a few weeks back when Brendan asked me the deceptively simple question, “What cause would Jerry want us to donate to?” My first thoughts were things that were on my mind – depression, suicide prevention or maybe literacy. All worthy causes, but not . . . very Jerry. If you knew Jeremiah Healy for any length of time, you might have heard him talk about the military and refer to somebody as “the real thing.” “The Real Things” are men and women who served our country heroically and selflessly, often at the expense of life, limb or emotional health. In fact, the only time I saw Jerry cry was as he recounted an air mission in which the pilots took off knowing that, once the mission was achieved, they didn’t have the fuel to return. As for the canine component, I can’t tell you how many strolls were doubled in duration because Jerry had to stop every passing dog-walker with the question “Is he (or she) friendly?” and give ‘em a good scratch. Even depressed, it was the one thing that seemed to help him, so I can only imagine what it does for wounded vets. So Hero Dogs, it is! Below is the scoop (no pun intended, though I kind of like it) from Brendan and company. We’d appreciate your sharing the word. Besides his work as an attorney and an author, Jeremiah Healy was a U.S. Army vet, and was also a lover of dogs. We have therefore reached out to a service dog organization in Maryland that trains dogs to assist wounded veterans, and they will be thrilled to receive donations in Jerry's name. The group is called Hero Dogs, and is based in Maryland. Their website is listed below. They are an IRS approved 501(c)(3) organization and operate entirely on donations. You can donate via their website, or by sending a check to Hero Dogs, P.O. 64, Brookeville, MD 20833-0064. But *please* ensure either by writing on the memo section of your check, or using the form on their website, that you're making this donation in Jerry's name. Last Stop Paradise by Karlene Conroy and Mia Crews is women’s fiction that has it all – suspense, romance, paranormal elements and a touch of humor! Four women with deep roots in their small north Florida town support each other through the surprises, disappointments and losses over the years. When one wins a girlfriend’s getaway at a spa, all are happy to escape lives spinning out of control. But two become reluctant accomplices in a potentially deadly game born of secrets and lies that jeopardize the solidarity of the four friends, and a message from beyond the grave promises no one escapes karma! Karlene Conroy and Mia Crews just finished a three-year stint as Group Leaders of the Florida Writers Association Melbourne group. Mia is currently president of the Cape Canaveral branch of The National League of American Pen Women. In addition to their own writing and leadership duties, Karlene and Mia offer self-publishing help to writers through their editing, formatting, book cover and website design services. For more information about the book and the authors: www.laststopparadise.com and www.editorofbooks.com. George L. Fouke is a retired political science and interdisciplinary studies professor who has also authored: Damn the Warocracy: A Plea to Restore American Democracy, and A Global Strategy for Survival: Lessons from the Jewish Experience. Fouke lives with his wife on the Space Coast of Florida. His favorite author is Thomas Wolfe, for his undying belief in the promise of America. Who is Killing the Republican Party? is available at Amazon.com and BarnesandNoble.com for a pre-election price of $1.99. Also available as a paperback. http://www.amazon.com/dp/B00NX027FU. King of Africa, Kojo the Lion, was surprised when a box fell off a tourist bus and dropped a symphony of musical instruments near his watering hole. With a great love for music, especially Bach, Mozart and Beethoven, Kojo decided to bring all of the wild animals of the Savannah together whether they were predator or prey! Could these natural enemies learn to get along to become an orchestra? And just what would they play? 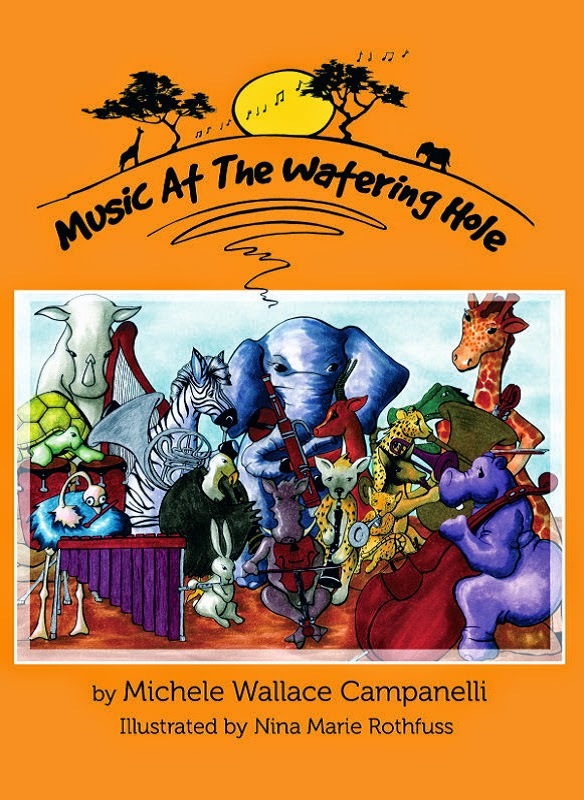 Michele Wallace Campanelli is an American writer, singer and celebrity. During the early 1990s, Michele was lead singer of the heavy metal band, Black Widow. After the band, Campanelli started writing short stories and has had numerous novels, magazine and newspaper articles in both fiction and non-fiction published. Prodigious Savant by J.J. White is now available!